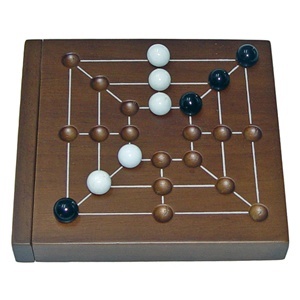 Nine Men's Morris is an abstract strategy board game for two players that emerged from the Roman Empire. 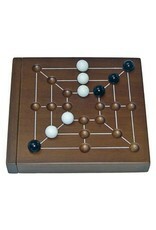 Our version of this historic game is beautifully crafted from wood. The pieces, or "men", store neatly inside the 5" game board when not in play.